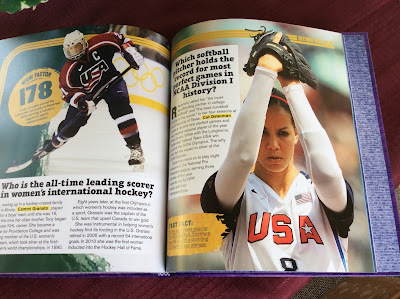 The fifth book in the Big Book of Who series from Sports Illustrated Kids profiles extraordinary athletes who shaped the narratives of their sports. The best women athletes—past and present—including Billie Jean King, Serena Williams, Nadia Comaneci, Simone Biles, and dozens more are grouped into these categories: Superstars who reinvented what it means to be a sports celebrity, Wonder Women who transcend sports and created seismic shifts in our culture, Trail Blazers who broke barriers and paved the way for others to follow, Record Breakers who set new standards for excellence, and the Champions who showed heart and gumption as winners. All of their stories bring excellence in women’s sports to readers hungry for empowering stories for kids—girls and boys alike. Did you know that Nadia Comaneci of Romania was the first gymnast to score a perfect 10? Or that Wilma Rudolph, an Olympian sprinter, overcame paralysis at a young age and went on to win three Olympic gold medals? I'll admit that I'm not much of a sports fan. But I do like to read about accomplishments and talents. 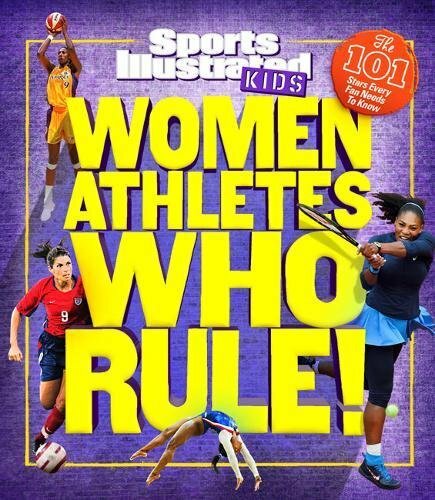 A hardcover book with radiant photos of women athletes, Women Athletes Who Rule! is full of interesting facts and tidbits. The variety of color photos bring the athletes to life. If you have a kid who likes to fill their mind with interesting statistics or even one who is interested in all things sports, this is a perfect book for them.